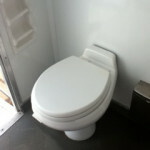 If you are looking for new, clean, high-quality portable restrooms, then you’ve come to the right place. 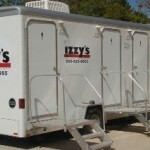 At Izzy’s Rental, we not only provide you with great customer service, but we also provide portable restrooms that you can rely on!! 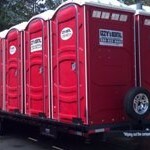 Our portable restroom trailers were designed with space in mind. 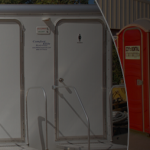 For smaller events or parties at home, the restroom trailers can fit in the most challenging of spaces, and the units are elegant enough so that they can be discreetly placed on site. Large events often require more than one restroom area to avoid long lines and crowds and provide guests with easy access to the facilities. 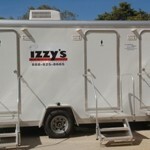 Izzy’s Rental offers a variety of stylish portable restroom trailers to best suit the event type and restroom needs. Our Climate Controlled Three-Stall Unit is perfect for accommodating larger groups of people and minimizing restroom wait time. 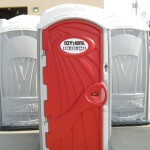 This restroom unit is a preferred choice for large weddings, construction sites, business remodels, festivals, outdoor concerts and fundraisers. The Three-Stall Unit is also ideal for serving those in need during emergency situations, disaster relief efforts, or in any case where power and water sources are not readily available. Click here for additional details and pictures. Use our portable restroom calculator to determine how many restrooms you need. 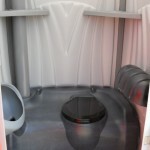 The Standard Restroom Unit is our most economical individual restroom solution and is perfect for construction sites or small casual gatherings where budget is a consideration. 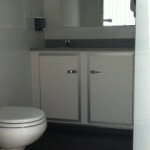 The unit features a single toilet and urinal. 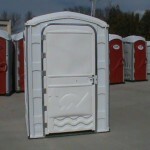 Use our portable restroom calculator to determine how many restrooms you need. 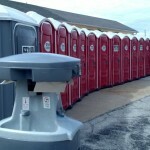 Use our portable restroom calculator to determine how many restrooms you need. 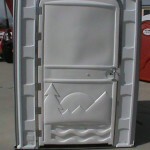 The PL01-1000 Poly LiftTM portable restroom is ideal for high rise construction. [two_third] The PolyJohn® Bravo!™ hand washing station features two sinks for multiple users. The 22 gallon fresh water tank capacity with visual water levels provides over 300 uses. Constructed of durable polyethylene. 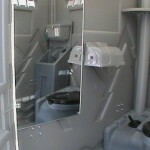 Station fits inside most portable restrooms and has built-in lift handles for easy transport. Features two 30 oz. 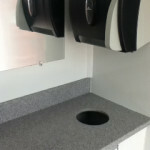 soap dispensers and holds up to 1,000 paper towels. Includes a siphon port for pump out. Dimensions: 26-1/2″W x 21-1/2″D x 62-1/2″H. [two_third] Hand Wash Stations and Hand Sanitizers are quickly increasing in popularity and becoming neccessary portable sanitation equipment. They become required by law when food is served at an event. 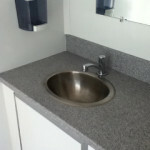 We offer a variety of handwash stations from small portable sinks in restroom facilities for small private events or dedicated hand wash stations at larger public events. 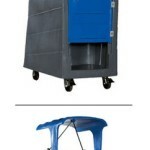 Our 90 gallon total capacity (45 gallon fresh), makes these units perfect for large special events. 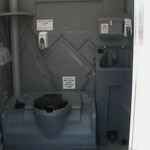 All sides have a foot pump that activates water flow and a dispenser filled with anti-bacterial soap. Tower cable encased in Nycoil™ flexible tubing eliminates tangling and stretching while protecting the mast wiring from cuts and abrasions. Intuitive lamp positioning allows fixtures to be accurately adjusted in retracted position before extending tower. Only 20 seconds to raise or lower the tower! Izzy’s Rentals offers a complete line of sound attenuated generators (both gasoline and clean energy) for remote site power or emergency back-up.